Tavel is one of the few appellations in France that is uniquely for rosé wines. 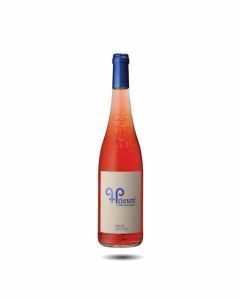 These are top end rosés, full-bodied and with more flavour than the very pale, light Provençal rosés, made from a variety of Rhône grape varieties; the main ones being Grenache, Cinsault, Syrah and Mourvèdre. 933 hectares of vines are planted here and white and red grapes are blended together to make the wine (the reds are macerated for a short time to extract colour from the skins). Tavel is located on the western bank of the Rhône River just north of the town of Avignon. Its proximity to the papal city meant that it had many admirers from the popes to Kings Philip IV and Louis XIV, to the writers Honoré de Balzac and Ernest Hemingway. Tavel rosé has lots of personality with aromas of peaches and cherries on the attack under laid with spices and savoury notes. These rosés can age for three years and marry well with Mediterranean dishes such as shellfish, paella, bouillabaisse and tapas.